You have to complete the saga and this time there is an important missions for you. Fly and destroy enemies! 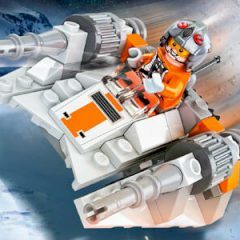 Deal with different units outside your base and fly on snowspeeder. Destroy units and try to complete missions without losing anything valuable!